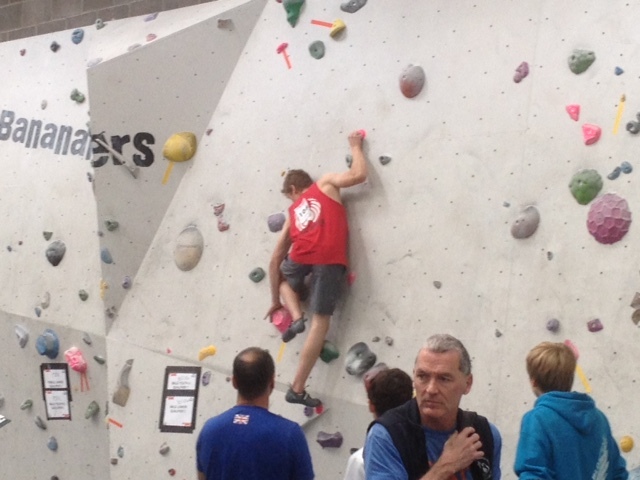 Saturday of 27th June saw Bloc Climbing in Bristol hosting the British Junior Bouldering Championships and Final round of the Junior Boulder Cup. 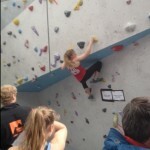 White Spider hosted a strong team of Imogen Horrocks (Girls A), Lucy Rattue (Girls B), Freddy High (Boys B), Beth Christian (Girls C) and Chris Butcher (Boys C). With the squad looking strong at previous rounds and having put in a few months of hard training the finals where going to be interesting. Lucy Rattue had an excellent round finishing 10th, like wise Freddy High, Beth Christian and Chris Butcher had an excellent competition finishing 13th, 15th and 11th respectively. With only a couple of minor mistakes keeping them from possibly making finals. 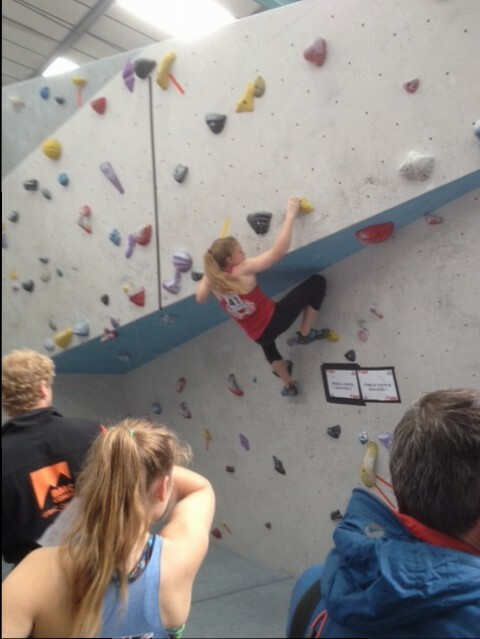 Imogen Horrocks had a great qualifying round finishing 5th, getting her into the finals against a strong line up of climbers including many in the British Team. 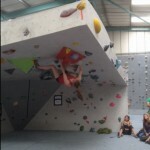 The First problem was a powerful overhang starting and finishing with very dynamic moves, Imogen made short work of the first dyno getting to the Bonus hold on her first try then falling trying to set up for the last move. 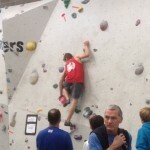 Putting her briefly in joint first after this problem. 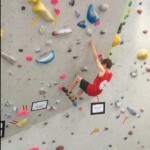 The next two problems saw the finalist first on an uber technical slab requiring 100% faith in very bad footholds and slippery and sloppy handholds. 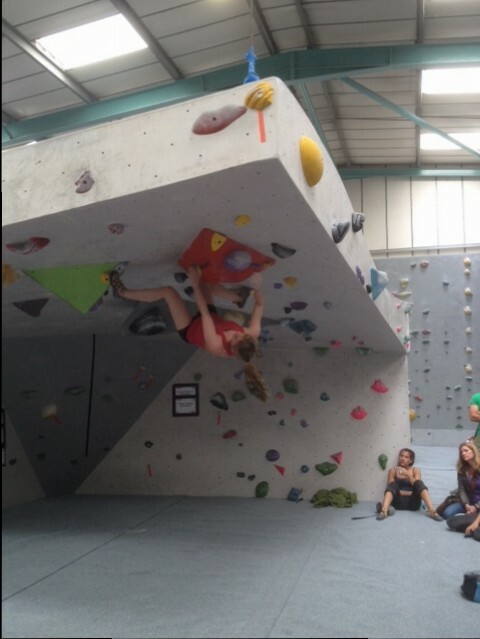 Imogen once again climbed amazingly, but just couldn’t control the penultimate hold enough to finish the problem. 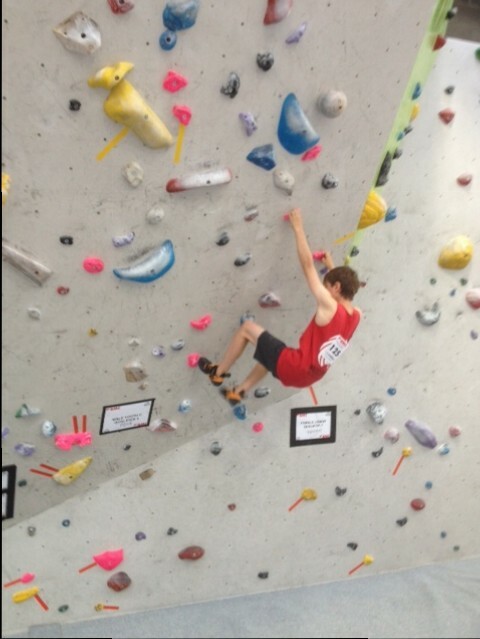 The last problem was a technical and dynamic start, finishing with a hands off move to the finishing hold which was to small to hold to match and finish. 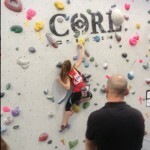 On her 2nd go Imogen made it to the final hold, but exhausted couldn’t get the match and although she came close a couple of times couldn’t quite complete the problem. 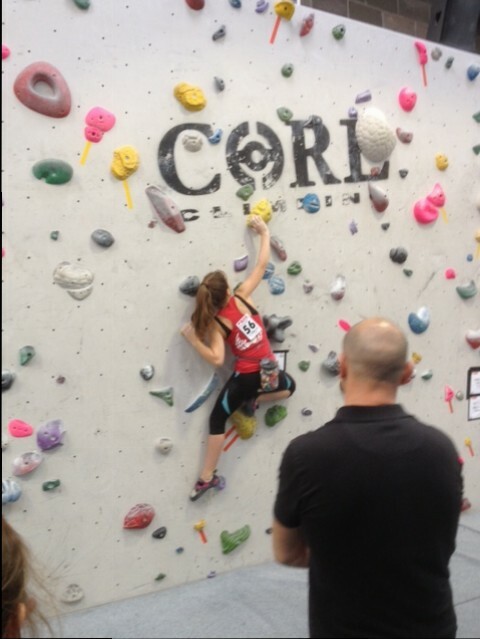 This put her in 5th place after a very strong performance, it also meant she came 3rd overall in the Junior Boulder Cup, an incredible achievement.